He's been outside in the world as long as we've known we were having him! 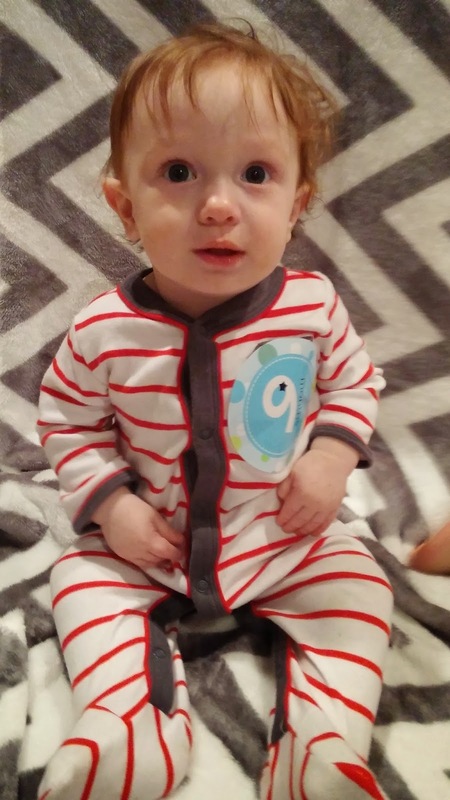 We had little man's doctor appointment and is a whopping 18 lbs 8 oz and 29 inches! 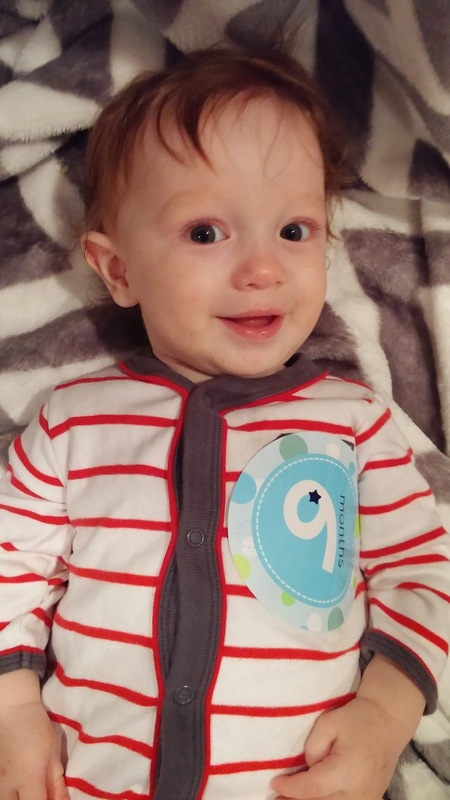 The doctor was very happy because his weight is now in the 25th percentile, instead of the 10th like it was at his 6 month appointment. Longer, curlier, red hair! 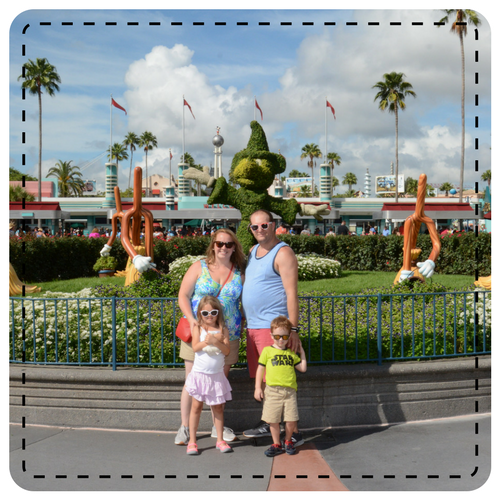 I think I'm going to try and hold off until June for his first haircut so he can have it done at Disney! He's constantly walking around with some sort of bump or bruise because he has no fear and will just topple! His perma-grin is always there too! We have lots of supported walking and will even stand unsupported for 2 or 3 seconds before crouching back down. There are 2 teeth now! Both bottom teeth have popped through the top right is making it's way through as well! We've been having some nursing/biting issues but hopefully it will be over soon! Crib is an every night thing and many nights he puts himself to sleep in the crib. He will only sleep on his side or his belly, and will roll if you try and put him on his back. He loves pillows, and will drop his whole head on to one if he sees it. Still waking at night to nurse but not nearly as much. We're still breastfeeding! I'm a bit nervous about what going to Vegas will do to my supply (three whole days without him!) so we will most likely be introducing some formula soon. I have about 100 oz in the freezer so hopefully we can do half and half when it comes time. Otherwise, he's eating even more foods! This week has included cod, meatloaf, mashed potatoes, corn, applesauce, eggs, bacon, a potato chip (! ), mandarin oranges, and some peanut butter on bread! He is so open to trying foods! Otherwise, lots and lots of incoherent yells and babbles. 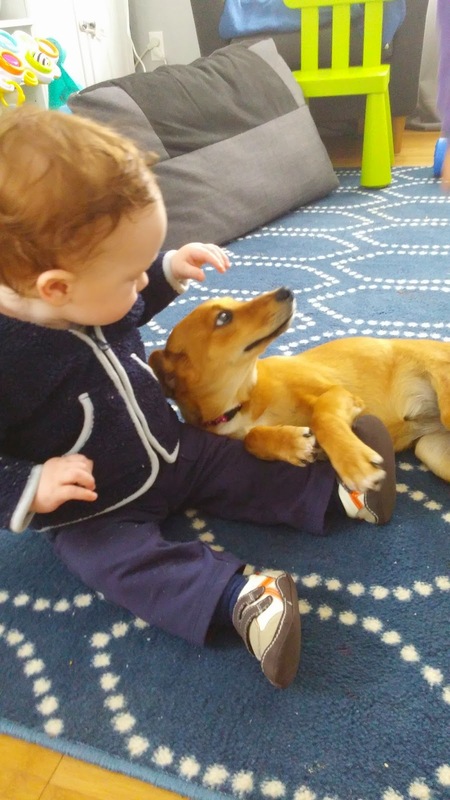 He loves talking! Pushing his walking toy around. Falling asleep on mom or dad's chest. Eating or playing with cell phones. Taking baths! He will crwal to the tub, stand next to it and just start laughing! He splashes like crazy in the tub! The laughter is the best! Whether it's to let me know he wants to take a tub, or he's laughing at Emma yelling "poopie", he is always so giggly! 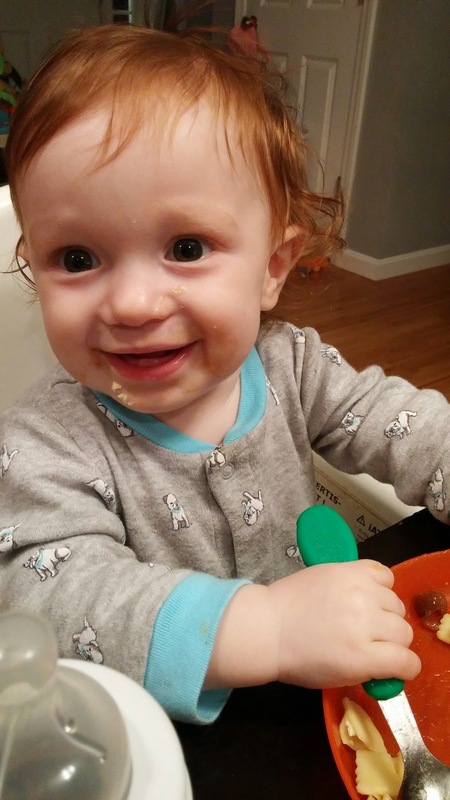 I know that we waited a LONG time to transition the little man to his crib, but the full night of sleep while bedsharing was just too much to give up some days! We bedshared from day 1 (mostly because I would fall asleep while nursing him!) but I knew the longer we held off on transitioning, the harder it would be. What I didn't realize was that it would be harder for me than for him! I was so accustomed to hearing his little breaths and knowing he was safe, that when he was down the hall in his own room, I found myself waking up more so I could go check on him. 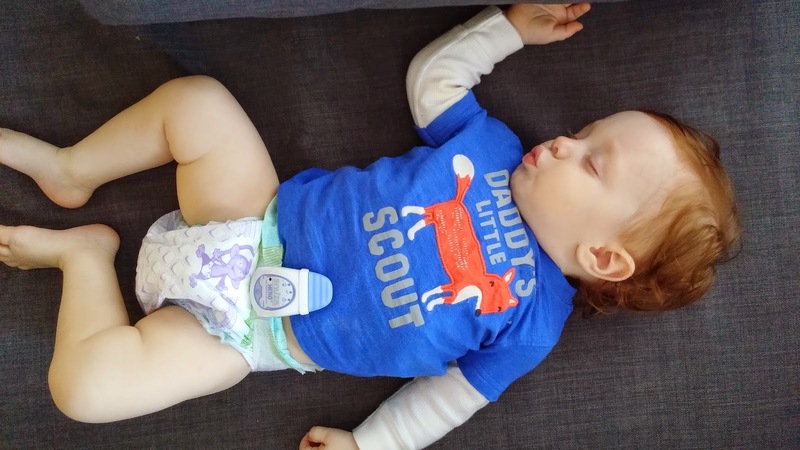 This obviously can't go on forever; I need to be able to get a full night sleep without constantly checking on him so I am thrilled about the new Snuza Hero. 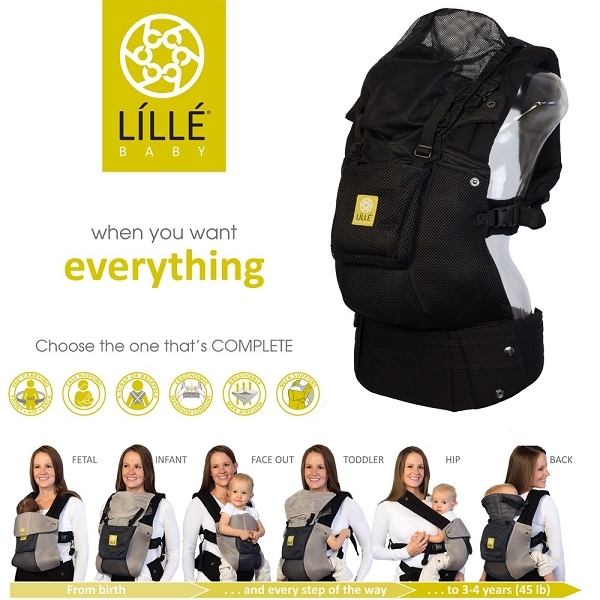 It's super light weight and easy to put on the diaper using a little clip so there are no wires or cables to worry about! 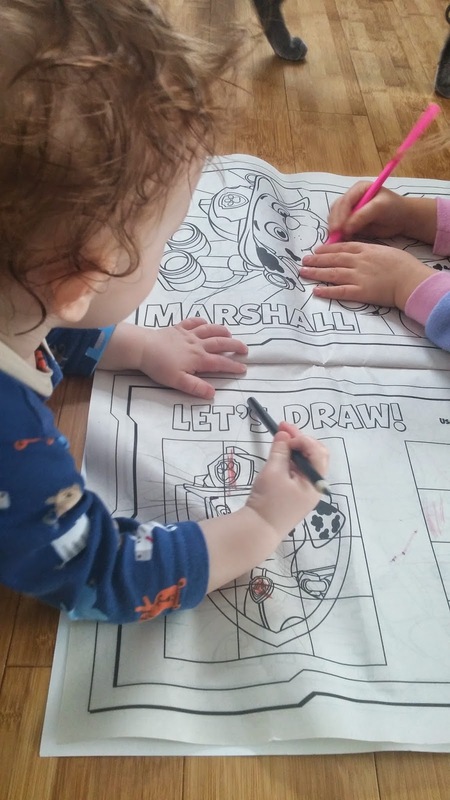 It's the perfect piece of mind for me when the little guy is in his own room! The Snuza Hero is currently being sold at Babies R Us for $119.99 but one of my lucky readers is going to win one! Open to US winners only. Prize fulfilled by sponsor. My birthday is next week and I am thrilled! 29 is not so scary and as my gift, my the husband is letting to go to Las Vegas to see one of my best friends! That's a pretty huge present but I've got my eye on a few smaller things too! What do you think? Can you tell I'm obsessed with the Kate Spade book drawings? 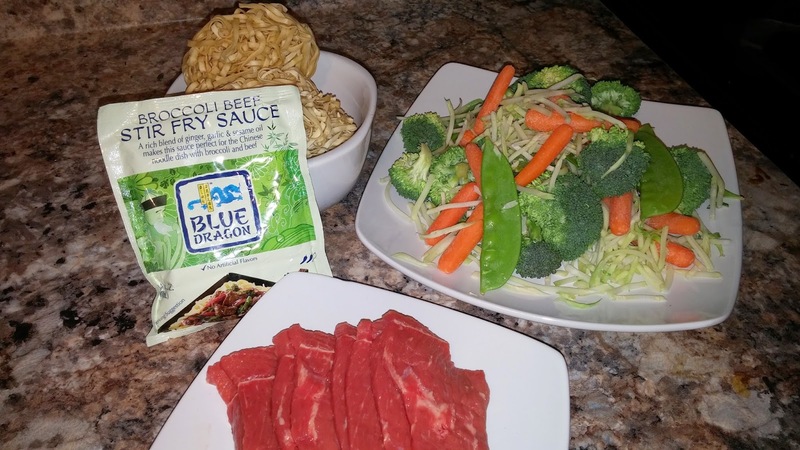 Make Your Own "Take Out" with Blue Dragon! Most Friday nights, while the husband is at work, Emma asks for Chinese food, so we order some delivery, eat our food on the couch in our pajamas and watch a movie. It's basically heaven. However, we have been getting destroyed by snow every single weekend and it just is not fair. 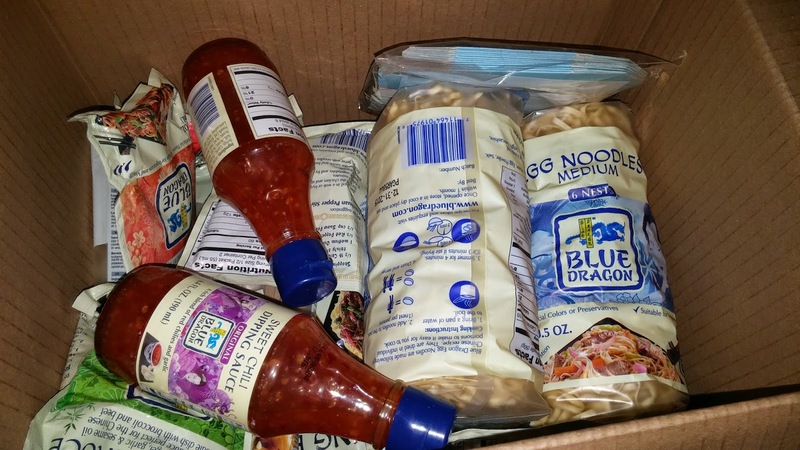 When there are 60 mile an hour winds and 4 feet snowbanks, you can't expect a delivery guy to bring you one meal so I was ecstatic when a package full of Blue Dragon products showed up at my door on Thursday afternoon, 24 hours before the big snow storm was supposed to hit! In addition, we received a gorgeous new wok, chop sticks and take out boxes for an authentic feel to our "delivery'! 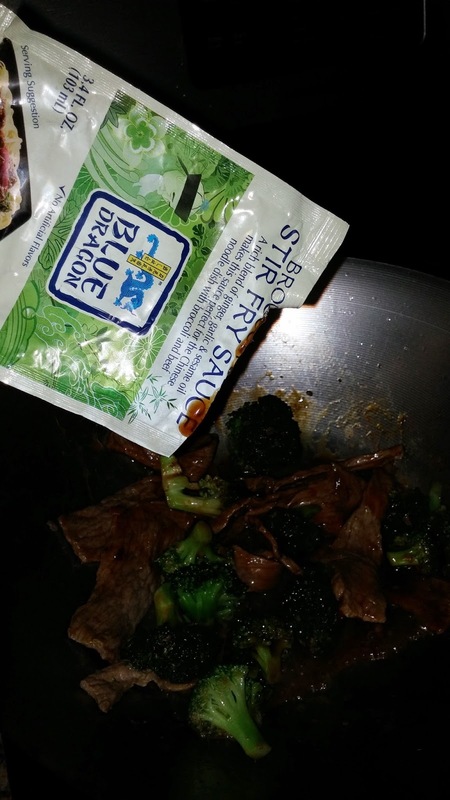 Blue Dragon sauces have been around for over 30 years when its founder realized it was really hard to make authentic tasting Asian dishes at home, and Emma and I were up to the challenge of creating some delicious, authentic meals! Even the little guy was excited to dig in! 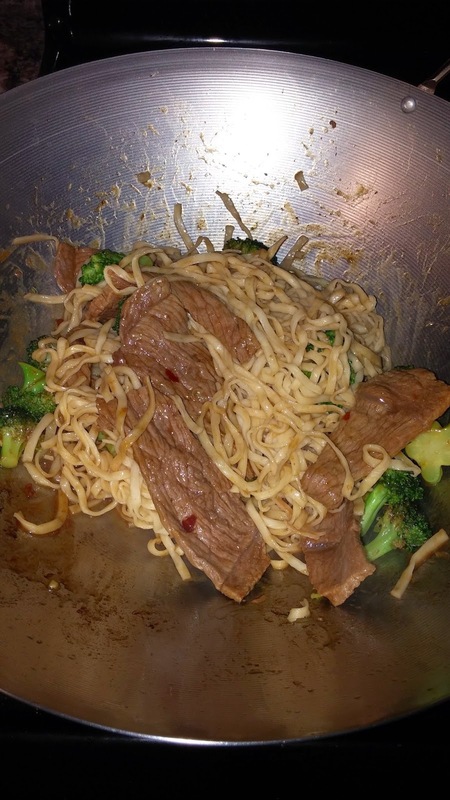 Emma loves lo mein and I love beef and broccoli so the egg noodles and Broccoli Beef Stir Fry sauce by Blue Dragon were perfect! It was so quick and easy to prepare! 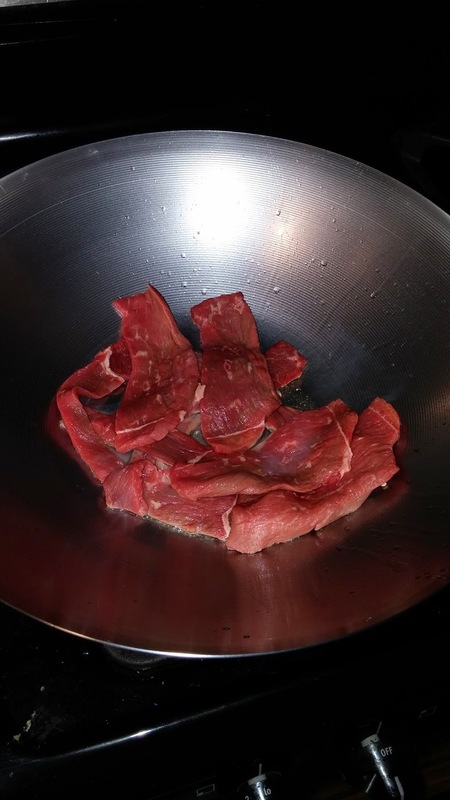 I grabbed some beef steaks and some raw veggies we had in the fridge and they paired perfectly! As I was getting ready to throw the veggies into the pan I decided I just wanted broccoli and decided to save the other veggies for some chicken! 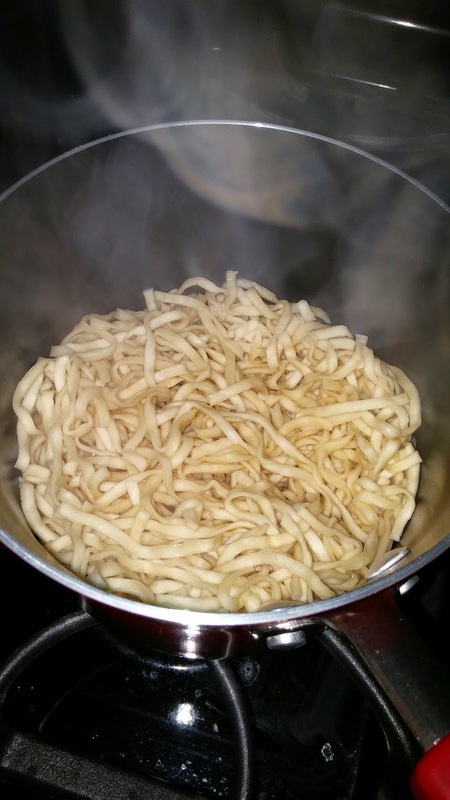 Tossed in some precooked noodles. The sauce was perfect. Not too salty, not bland... just delicious! My three year old declared that "brown meat is gross" and she wanted chicken so a quick wipe of the wok and it was time for meal number two. 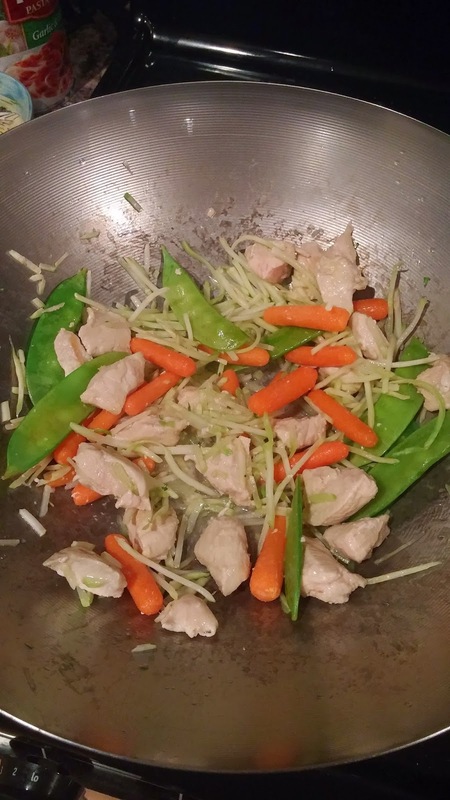 Chicken breast and vegetables, stir fried and then I added the Blue Dragon Chow Mein Stir Fry Sauce. 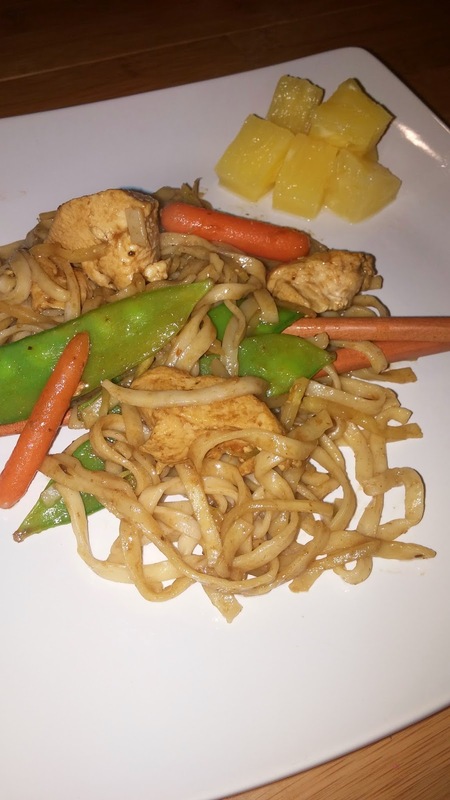 Who doesn't love pineapple with their Asian inspired meals!? 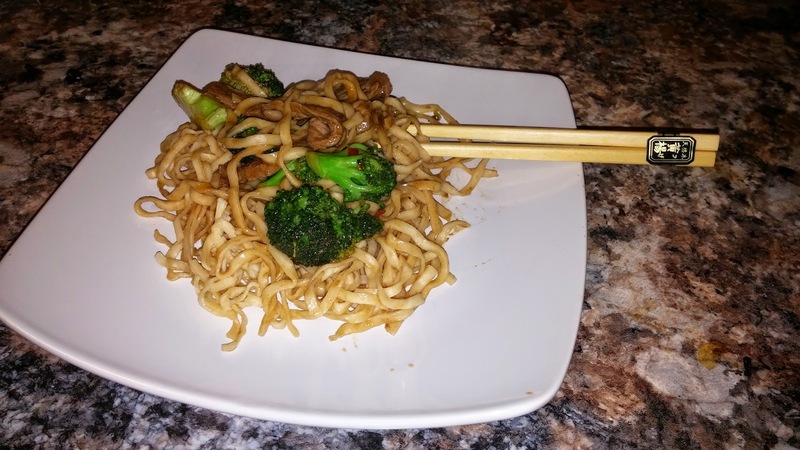 The princess told me "it was the best Chinese noodles I never had!" so that means it was a hit! Even the infant gobbled some up! 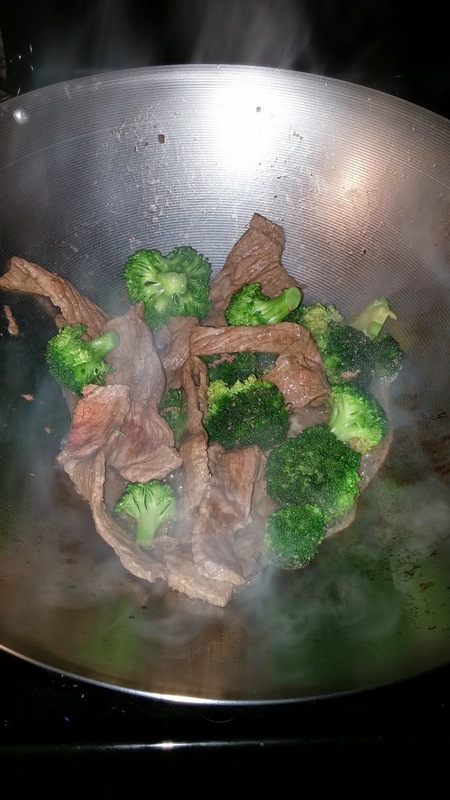 It was so easy and convenient to make delicious meals, and I still got to wear my pajamas! These sauces are an authentic and easy way to make Asian inspired meals while still being comfortable in your own home! 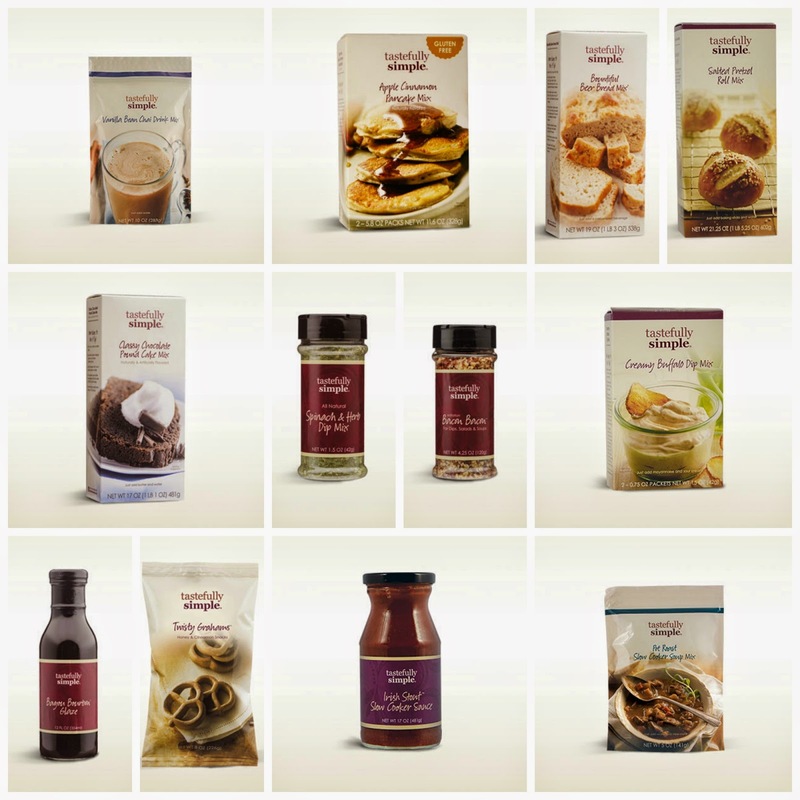 Not sure what to cook? You can check out the Blue Dragon Cookbook and Recipe Inspiration, their Facebook page, and their Youtube channel for simple, delicious ideas! Blue Dragon also did some wonderful sampling events but the closest one is more than an hour away so sadly, I missed them, and you did too, but even better, Blue Dragon is giving one of my readers a sample pack of sauces and a cooking kit that includes a wok, spatula, chop sticks and to go containers so you can make your very own "take out"! Did you know the Dragon is the symbol of good fortune? It is clearly a sign! Go enter! We're a family of five now! Well that was misleading, but no, I'm not pregnant. 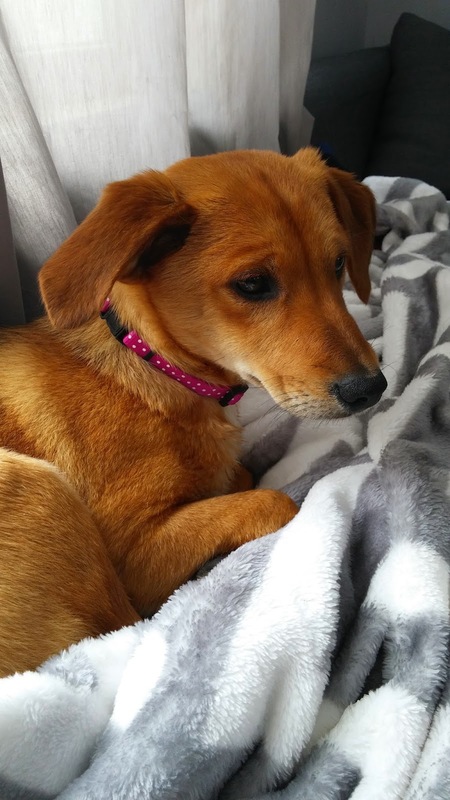 We're just adding a new furbaby to our family! Our perfect little girl Bailey passed away last February and it was devastating for us. 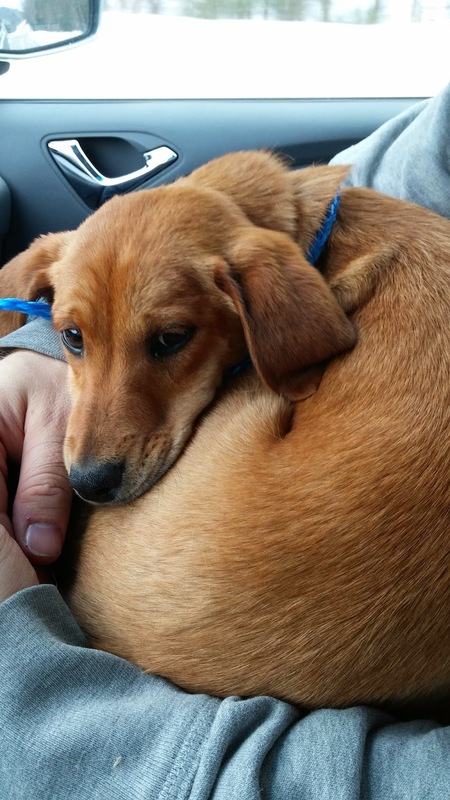 Putting her down was such an emotional day, week, and we were not sure if we'd ever adopt another pup. My dog from before my marriage still lives at my moms. She has food aggression and after biting my daughter even after we tried behavioral classes, we knew she needed a new home until Emma was old enough to not crawl over and steal her food. And then we had Tyler and we're right back to the crawling to the food bowl and we know that we could not bring Sable to this house without expecting more aggression. Couple that with my dad putting up a stink every time we mention trying to bring her here and I really don't know when she'll ever come back to this house. 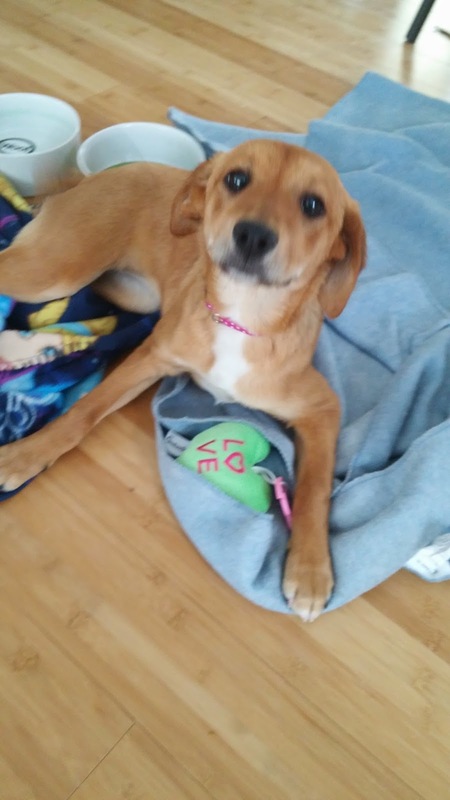 However, I received a random email (addressed to Kathryn) from an organization I had never heard of before, letting Kathryn know that even though she was not able to adopt the dog she wanted, there were still plenty of others looking for good homes, and there, front and center, was a picture of what I thought was Bailey re-incarnated. Literally, no idea why this email showed up, but boom, there she was. I believe in signs. I believe things happen because they're supposed to and God works in mysterious ways. I sent the picture to David and said "Who does this look like?" and he immediately said Bailey and asked where I had gotten the email from. Then began the debate of "Do we message back about this dog?" Fast forward 50 text messages and 12 emails and she's all ours! Have you heard of Project Repat before? They make t-shirt quilt for pennies compared to what others charge! I've talked about having a blanket made out of Emma's baby clothes on my 30 by 30 list, and this just seems so perfect and easy! My favorite part is that they are local! The office is in Boston and in Fall River! I LOVE when companies I love are local. I love everything about this company and will totally be buying one to have done with Emma's clothes! With all these snow days, I've been baking up a storm and using my crock pot every day! 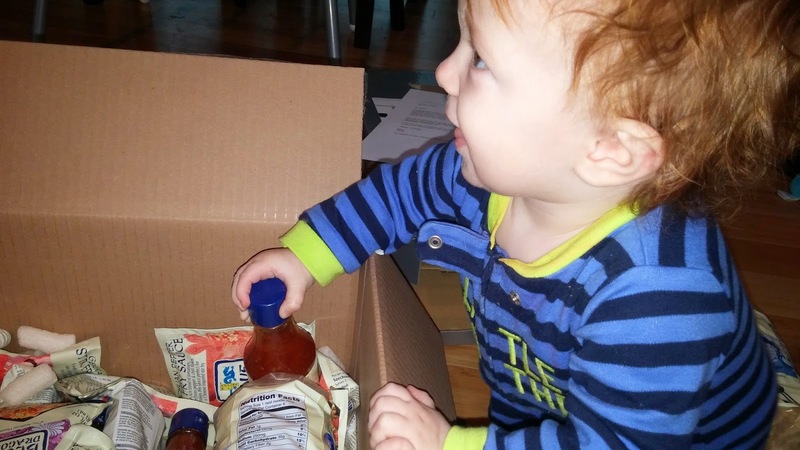 I always turn to Tastefully Simple sauces and boxed mixes to make it easier. Because we've been using them so much, I'm having a party to restock my shelves and introduce you to some amazing and easy foods! Everything is delicious and usually only requires 1 to 3 other ingredients like water, butter, or a can of beer! I'd love if you filled your pantry with these super delicious foods, and as an incentive: I'll be holding a raffle to give away an extra product (my choice) to one person who books an online party or places an order! I'll send it to you myself after the party is over! So get to shopping HERE and enjoy! One Year to Go! A 30 by 30 Update! I cannot believe I'll be 29 this month! It's not scary, just surreal. Like, when did I get old? I still picture myself as a 22 or 23 year old but my goodness, how life has changed in these last 6 or 7 years. I'm excited about my birthday, but it also means I only have one year left to try and complete my 30 by 30 list! I've come to the realization that I probably will not accomplish all of them, and there are a couple I'm not even super concerned about, but I'm still excited to try and accomplish more! I'll be heading to Las Vegas to celebrate my birthday with one of my best friends and Dave and I are working on a Broadway show so I'm already getting closer! When you get your Masters degree, think you can take some time off from college courses, and then boom!, new licensure requirement and you're back in class for 3 hours every Tuesday night for 16 weeks. Ugh. Honestly, the worst part of new classes is paying for new books. I've raved about CampusBookRentals.com before and true to form, I went right back to them for this semester of books! 1. 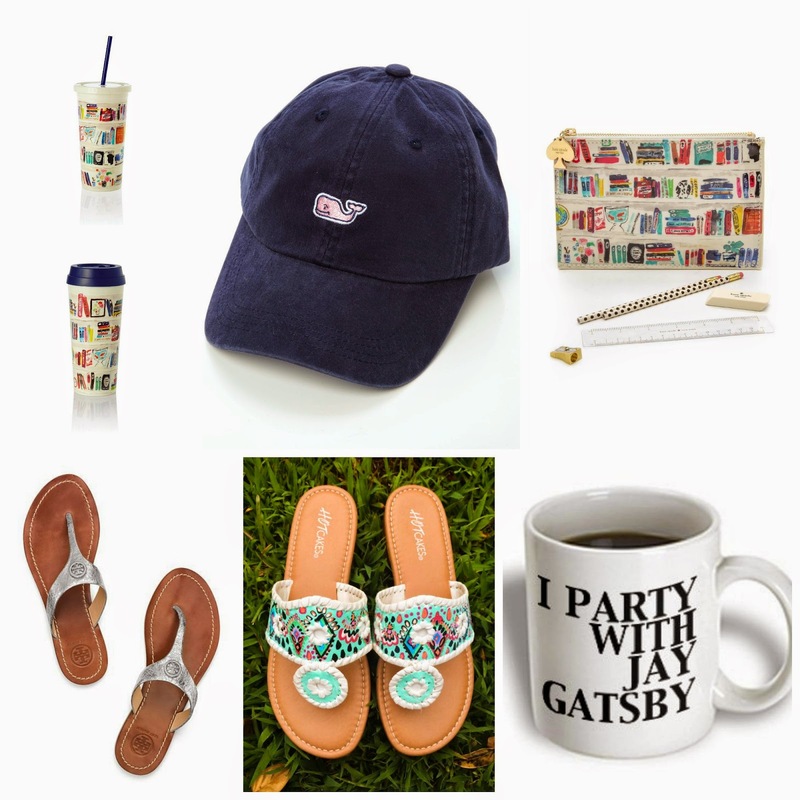 You can save 40-90% off of bookstore prices. My book would have been $76 from my bookstore, $58 from Amazon and only $26 from CampusBookRentals.com! 2. They offer free shipping both ways. How awesome! 3. They want you to feel like the books are yours and you can highlight in the textbooks! 4. They offer flexible renting periods for however long your class may run! 5. They offer a full refund for the first 21 days if you're not completely satisfied! 6. CampusBookRentals.com donates to Operation Smile with each textbook rented, so you're doing good while being studious! So start saving and start renting! It's my favorite time of year at Babies R Us! 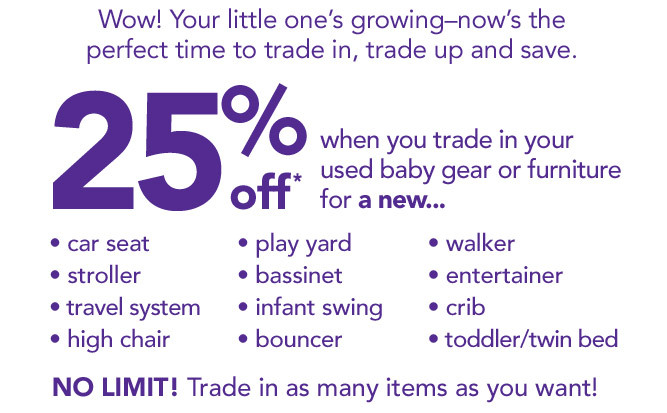 Trade in your old, dirty, and even broken stuff to Babies R Us and you get a 25% off coupon to use on NEW baby gear! This will be super helpful for me this year. I plan on bringing in my less than awesome single jogger and upgrading to a double jogger!